It is with heavy hearts that we are asking for you help today. We have set up this page for Andrea our brother Dee's fiancée. Andrea has been diagnosed with Terminal Brain Cancer, a Stage 4 Glioblastoma. As I'm sure you can imagine we are all utterly devastated. As many of you know Dee and Andrea had made arrangements to get married in Slovakia in December. However his can no longer happen ,as time is of the essence and she is also due to start a 16 week course of intensive chemotherapy and radiotherapy. We as Dee's family are trying to arrange a wedding for them in the next few weeks. We want them both to have the wedding they deserve, a day to cherish and the opportunity to create memories with each other and of course for Andrea to be the bride she has always dreamed of. We are not planning a lavish wedding just something simple and quiet. 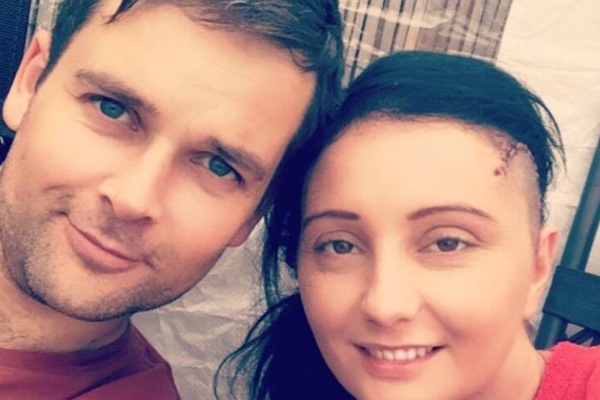 We have set up this page not only to try and raise funds for their wedding but also to raise funds to help Dee and Andrea through the difficult time they face ahead and also to explore any alternative treatments that might give her more time. Any donation is appreciated no matter how small. We thank you all in advance for you kindness and help. And a warm thank you to all those who have offered their services to help. It is appreciated more than you will ever know. Andrea is such a kind and selfless person. She is going through so much and fighting so hard but yet never complains and is always thinking of others around her. We are privileged to have her in our family. It would mean so much to give them the day they were both looking forward to. There's notthing Andrea wants more than to marry her wee Dee. Thank you all for continued amazing support . We are blown away !